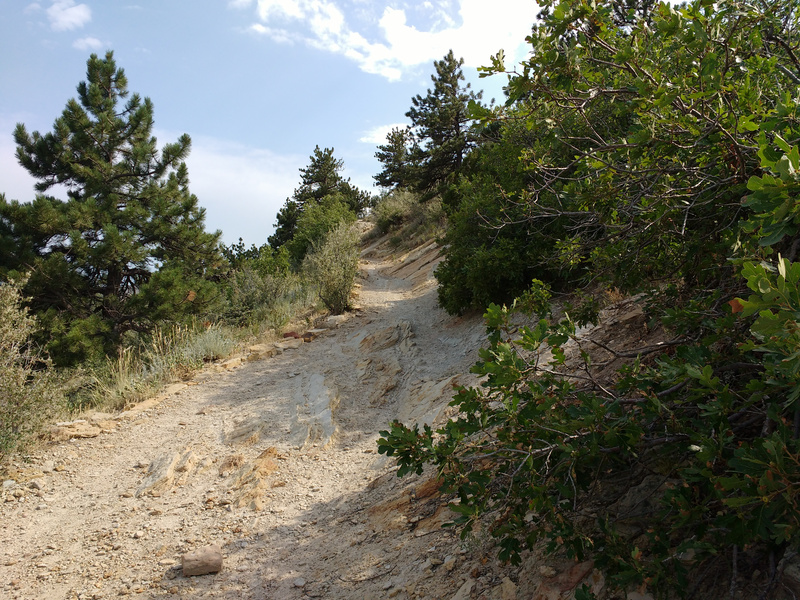 Free high resolution photo of a hiking trail. This picture shows a trail though the mountains. It is used for both hiking and mountain biking. You can see pine trees as well as scrub oak. Photo taken in the foothills just west of Denver, Colorado. Free image for any use.